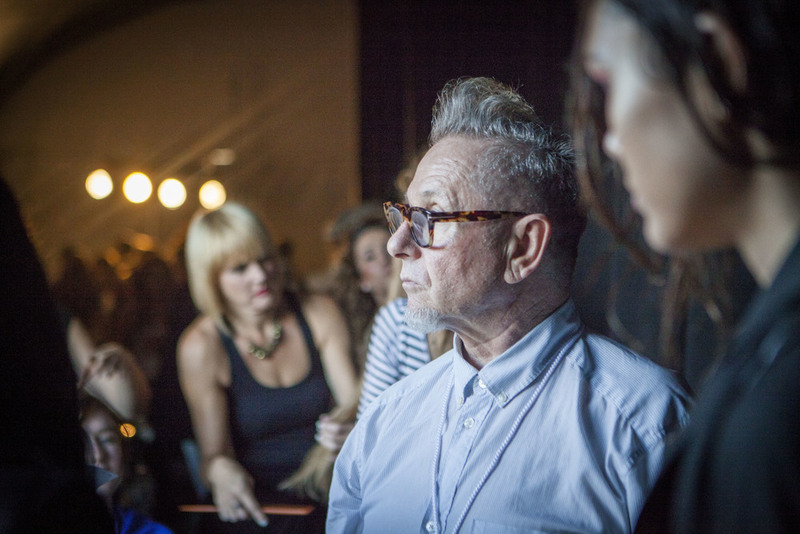 Style Fashion Week Los Angeles, spanning over 5 days, with a line-up of more than 25 shows, and 700 models, marks it as one of the larger produced events for fashion week in LA. With an invitation backstage, we were so excited to witness the creative chaos that goes into the making of just one night of runway shows. For those of you inspired and entertained by fashion weeks all over the world we know this seems normal, but for Los Angeles, an event where there is not one leading producing company, it’s version of fashion week is an accurate account of the city’s taste in beauty and fashion design- a diverse place where it is really exciting to feature smaller labels and up and coming designers. Caught amongst the creative madness of 40 working stylists and beautiful models everywhere, we tried everything to not step on toes, knock over Privé hair products and interrupt this intensely fun atmosphere as we made our way down the line. It was invigorating, overwhelming, and inspiring all at the same time. He returns his attention back on the models to finish up his routine last hair check on everyone. As the energy continues to rise backstage, in our last exchange before we take our seats, he says, “for me, this is the best part.” Show time!